OK--I think I've got it now! 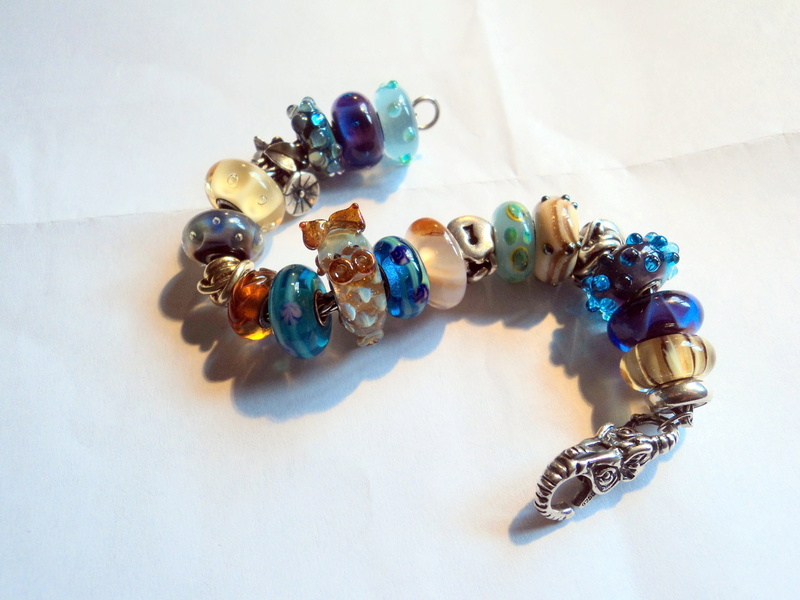 This Bracelet was inspired by Minerva from old TBS forum. She used Rune beads where my ambers are, and a silver dragon where my Elf Dragon is, but otherwise, I think it's close! (I am famous for ...er "adapting".... (stealing?) other people's designs!! Hi, Deed! Glad to see you. Minerva used to be here, too, but i haven't seen her post in a long while. Blues with ambers, it seems to be in the air, I've seen several such combos recently. All completely different, of course! Your Elf dragon looks right friendly, and happy on your bracelet. Should you wander over to Facebook, look me up. I'm Linda Jo with the same Troll w Big Feet profile pic. @Mabel wrote: I like it too!